The Twinpad comes with a detachable keyboard with trackpad. Lava has announced the launch of Lava Twinpad, a 2-in-1 tablet, at Rs 15,999. 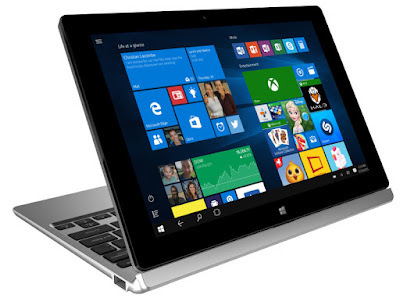 Being a hybrid device, it can be used both as a tablet and a laptop. The screen of the device can be placed on the front as well as on the reverse side and also comes with a detachable keyboard with track-pad. As per Lava, the Twinpad will be available in silver colour across all national retail stores, multi-brand outlets and onlinePLATFORMS. It comes with a one-year manufacturer warranty and 6 months warranty for the in box accessories. Lava Twinpad has a 10.1-inch IPS display with Stylus support, 800x1280 pixels resolution and 5-Point multi-touch support. It is powered by a 1.3 GHz quad-core Intel processor paired with 2GB of RAM. The device runs on Windows 10 operating system and is backed up by a huge 7400 mAh battery. The Twinpad has 32 GB of inbuilt storage, which can be further expandable up-to 64GB via microSD card. It sports a 2-megapixel camera both in front & back panel. Besides, the Twinpad offers Single SIM, 3G, Wi-Fi, Bluetooth 4.0, 2 USB Slots and a 3.5mm headphone jack. 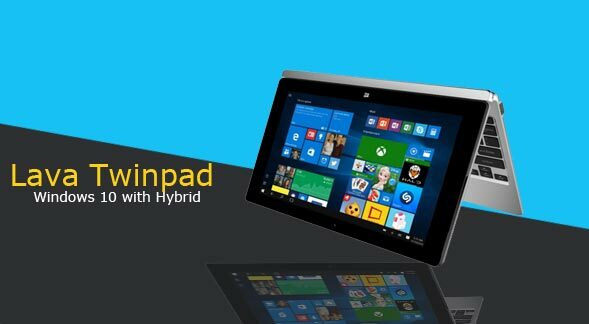 Commenting on the launch of Twinpad, Raman Sharma, vice-president & business head tablets, Lava International Limited said, "In India, tablets as a category is still evolving but at the same time lines are blurring between phablets and tablets. At Lava, we are constantly investing in R&D to bring innovative yet relevant devices for the consumers. In Twinpad we have come up with a device that offers great computing functionalities and therefore finds a right fit with students & young working executives who are always on the move. The overall proposition led by dual functionality & a bidirectional screen will redefine benchmarks in this category."